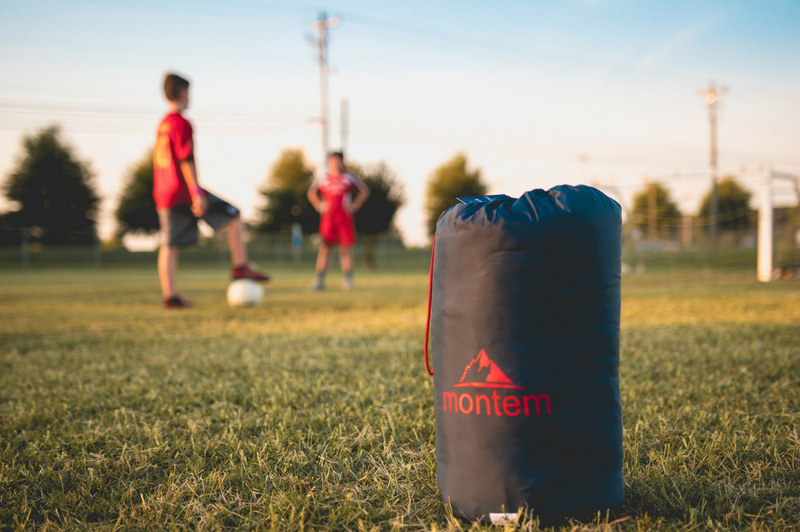 I recently received an email from an New York City based outdoor company called Montem. One of their founders, Kevin reached out to me and said he’d like to send me a blanket. A camping blanket to be specific. Why would I need a camping blanket? I’m a videographer and photographer, spending my days editing sequences on my laptop and color grading photos for clients. Ask my friends and family – they would definitely not describe me as an outdoorsman and I sure as heck don’t think of myself as an authority figure on the cold weather ratings of a camping blanket. I didn’t immediately respond to Kevin’s email inquiry. But the last thing I wanted to do was be rude and simply ignore his nice offer; I wasn’t sure how to gracefully decline his email. Two days later, Kevin followed up to the initial message he sent basically saying the offer still stands, would I be interested? So, I clicked on the link to his company in the body of the email and checked out Montem Outdoor Gear’s website. I began reading about how Montem specializes in hiking gear. From trekking poles, backpacks, hammocks and yes blankets, they seem to have carved out a specialty niche of outdoor lifestyle products. And, I responded back to Kevin letting him know that I’d be happy to post a photo on Instagram if he wanted to send me his camping blanket. Kevin agreed, so a few days later my new Sneaky Snuggler Camping Blanket from Montem arrived. All I agreed to do is post a photo of the blanket on my Instagram. Kevin had originally asked if I would write a blog post, but I was up front with him and explained that I had not written a blog post in a couple of years, but would be happy to to do Instagram. However, I wasn’t going to just take a photo, slap a filter on it and post it with a quick and easy description. If I was going to associate my name and my company’s name with this review, I was going to do it as good as I could. This included researching what photos they have posted on their Instagram page, searching relevant hashtags and coming up with a plan to include an accurate photo of how my family and I would use this blanket – and as a bonus, I decided to get back in the world of blogging and post a review! My family and I went out to the park a few days ago to let the kids play and so I could take some photos to post of us using the blanket – not in a camping way but in a typical “go to the park, watch your boys play soccer and have something nice to sit on” kind of way, which is exactly how we as a family would use it. A couple of hours later, I had two finalized photos, edited and cropped and ready to post on my Instagram. See the Instagram post HERE. But something gave me pause. I thought to myself, why couldn’t a write a blog post/product review for this camping blanket? Sure, I thought I had the perfect Instagram shots that would have fulfilled Kevin’s request, but I had already thought of more ways to use this blanket other than for camping purposes. This blanket could be used to help me produce videos, take photos or even record audio. As a blanket to sit on: This is an obvious solution because it is the initial use of the blanket that I chose for my Instagram post. Our kids play sports and sure the bleachers are an option to watch them, as well as bringing those ubiquitous collapsable tailgating chairs. 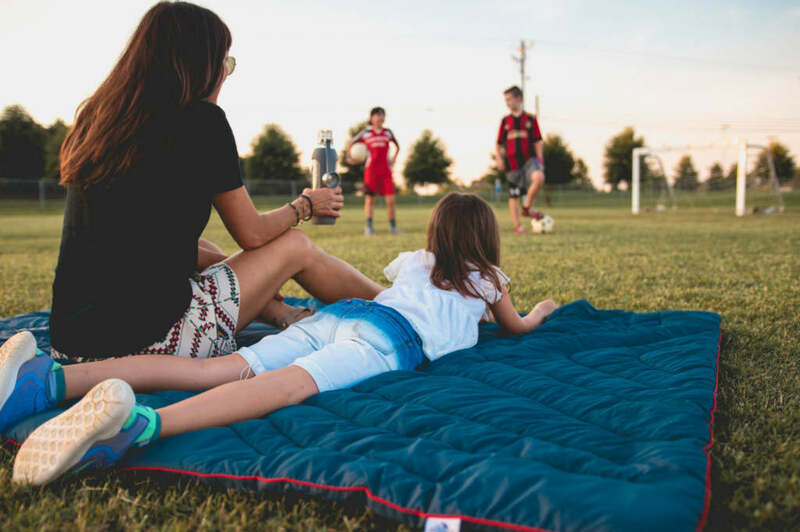 But my wife, and daughter especially will often bring an old quilt or moving blankets to sit on while watching my boys play soccer or baseball. The water and puncture resistance of this blanket is enough of a reason for it to take the place of the quilt when attending sporting events. As a tote bag for small items: Don’t laugh. This is a useful thought for the bag that the blanket comes in. As a videographer, I travel with a backpack and other items when out filming. Often times, I’ll bring my GoPro or multiple GoPros. What’s one thing that you think of when it comes to these tiny cameras? Accessories. I have the suction cup mount, the 6″ clamp mount, the three-way mount, head strap…you get the idea. I also have housings and scores of screws to attach the camera with the selected mount. These items end up cluttering my backpack. Sometimes, I’ve even thrown them in a box to take with me. I wouldn’t even need the blanket to travel with me, but the pack it comes in would be a perfect solution on shoots. As a Gear Protector while Traveling: Again, I’m thinking outside of the box here. Allow me to paint the picture. I have a 4Runner that I use for work. We as photographers and run and gun videographers will have you to believe that every piece of gear is carefully and tightly stored away in expensive travel packs. Not so. Often times, I take care, but place a camera or gimbal in the passenger seat or back of my car. 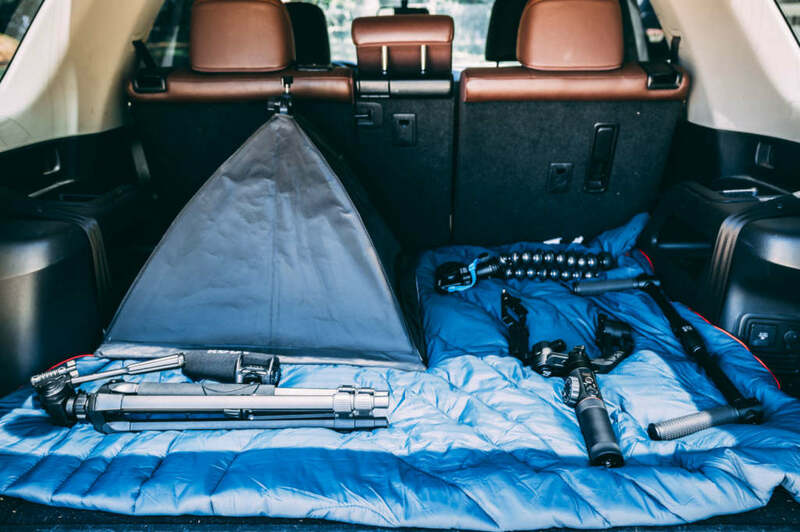 This blanket has substantial fiber synthetic insulation, which acts as an adequate protector of light gear – when you’re in a pinch and either don’t have time to completely pack up or are just in a hurry – this might actually work. As a way to black out windows when filming: Sometimes, when I’m doing a photoshoot or taking video, the intense glare from a window or bright mid-day sun can result in tough conditions to get a nice shot or clip. 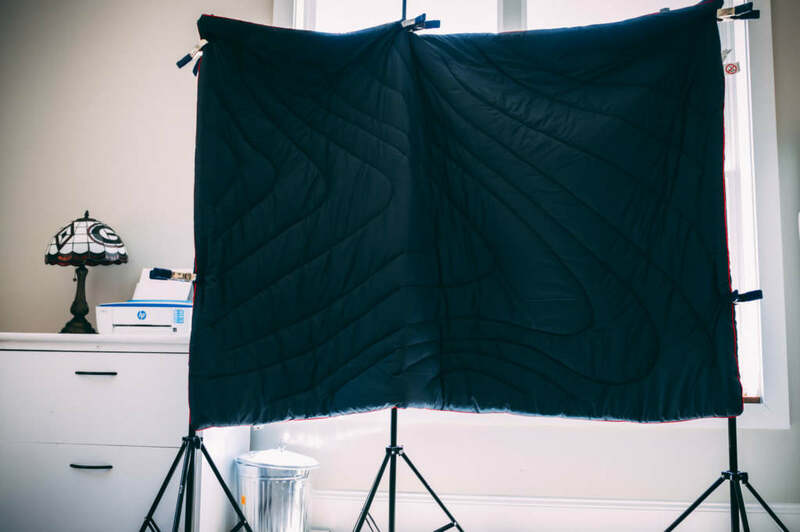 I travel with light stands and industrial clamps anyway, so having this lightweight and large blanket (it’s 54″ x 80″ when spread out) will allow me to block off direct light whether I’m inside or outdoors. As a sound dampener for voiceover work: Achieving quality audio is imperative when creating a client video, producing a podcast or recording a voiceover. My office has many components that impede top quality audio. I have 5 windows, a hardwood floor and high ceilings with a small rug being the only thing to help defuse sound. 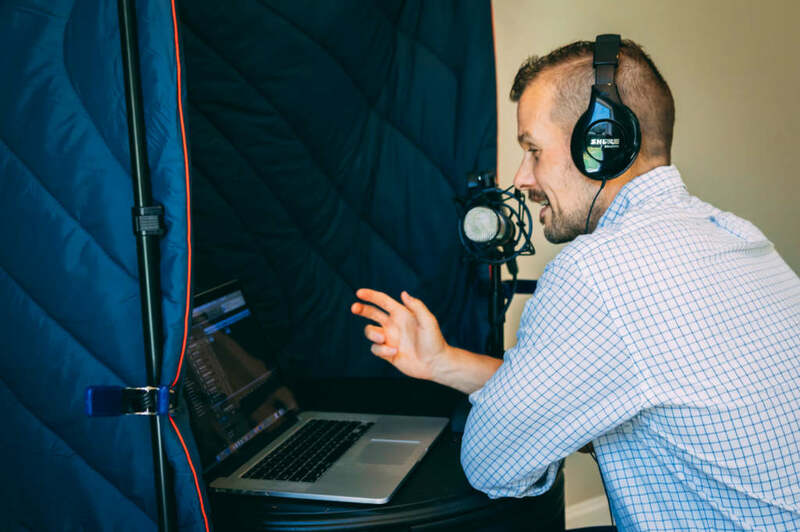 There have been many times in the past where I’ve quickly ducked under a blanket to record a podcast intro or a voiceover for a client. The results are as good as your typical room with window coverings and carpet. It’s a quick and easy solution to an often times overlooked problem. It’s also easy to pack and unpack. I didn’t have any difficulties jamming it back in the carrying case after using it. 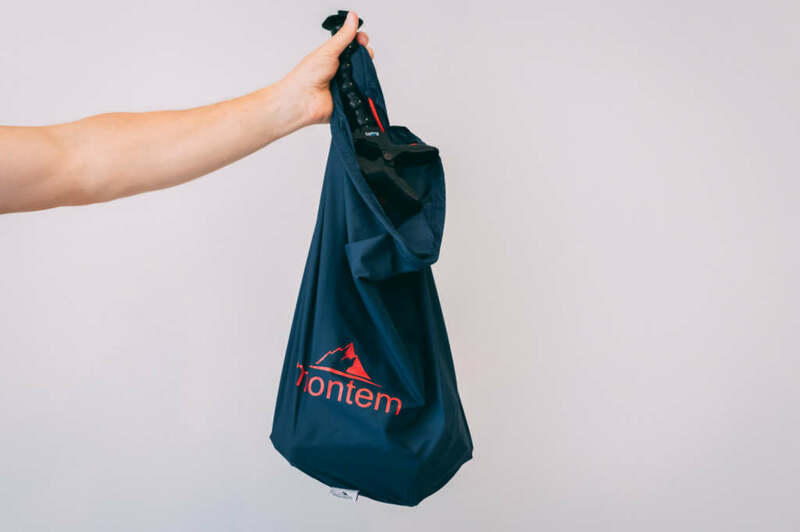 Plus, when transporting it from one place to another in it’s pack the weight is very manageable (coming in at only 3.3 lbs) and doesn’t weigh you down or feel too cumbersome. Finally, I’d like to thank Kevin and Montem for reaching out to me and sending me this blanket to review. It retails for $149.99, but as of this post, they have discounted it by 40% and you can purchase one for $89.99. Even if you’re not into camping like myself, it’s always good to have useful products that provide comfort for the family along with other practical uses. For the later, all you need to do is use your imagination.